Theodore Weld was born in Hampton, Connecticut, on 23rd November, 1803. Raised near Utica, he met Charles Stuart whose financial support helped him study for the ministry at Lane Seminary, Cincinnati. While a student Weld became a strong opponent of slavery. 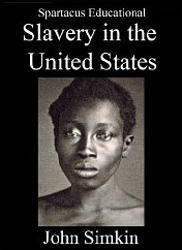 In 1831 Arthur Tappan established the Anti-Slavery Society in New York. 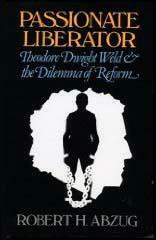 Weld joined and in 1834 left his studies to work as an agent for society. Weld often had his meetings broken up and in Troy, New York, he was stoned by a mob. An inspiring speaker, Weld made many converts, including James Birney and Harriet Beecher Stowe. Weld also wrote several pamphlets for the organization including The Bible Against Slavery (1837) and American Slavery As It Is: Testimony of a Thousand Witnesses (1839). After his marriage to fellow campaigner, Angelina Grimke, Weld joined the Society of Friends. They settled in Belleville, New Jersey, with Angelina's sister, Sarah Grimke, and opened their own school. Later they established a progressive school at the Raritan Bay Community in New York. During the Civil War Weld, Angelina Grimke and Sarah Grimke wrote and lectured in support of Abraham Lincoln. After the war the they moved to Hyde Park, Massachusetts. Theodore Weld died on 3rd February, 1895.